Shark ION Robot vs Roomba - Has Roomba’s Dominance Been Swallowed by SharkNinja? Hello folks. Today, we want to find out if iRobot has finally been brought down in this Roomba vs. Shark ION robot vacuum comparison review. You will agree with me that Roomba’s main advantage is the fact that iRobot has been around for longer. That’s the reason the likes of ILIFE, ECOVACS, and Neato Robotics have found it hard to keep up the pace. However, it is a different scene when it comes to Shark ION. In as much as it is a new entrant in the robot vacuums market, it has been in the vacuums market for longer. It is only that it ventured into robot vacuums just the other day. In this review, we want to find out what’s the best robot vacuum brand between the two. We will also be comparing some of their best models. But just before that, let’s compare some fun facts about the history of the two brands. Roomba vs. Shark ION: What’s the best robot vacuum brand? iRobot rolled out its first Roomba in the market back in 2002, and though business was good at the time, the new vacuums market showed enough potential. It was only a matter of time before things started opening up. One of the biggest differences between iRobot and Shark ION is the product portfolio. 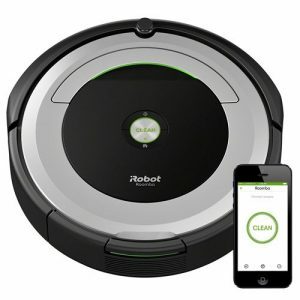 iRobot offers specialized floor vacuuming and mopping solutions. They have two main products; Roombas (robot vacuums) and Braava (robot mops). Regarding technology, Roomba has been able to exploit the latest innovations, and today it’s one of the best technologically advanced robot vacuums. In fact, it has the industry-leading technology in navigation and mapping as well as deep carpet cleaning. On the other hand, Shark ION had begun business four years earlier before iRobot released their first Roomba. But Shark ION had ventured in the regular vacuums market competing with the household names like Dyson, Bissel, Miele, and the rest. For Shark ION, things are entirely different from the household appliances giant boasting an extensive product range. We have canister vacuums, upright vacuums, handheld vacuums, steam mops and now, robot vacuums. Shark also manufactures a favorite juicer called SharkNinja. In Shark ION, there is a lot to be desired, but this is something that we understand as it is just making its first footsteps in the flooded robot vacuums market. There is nothing unique in the design of Shark ION; just a replication of what we have. Now, having looked at the overview of each brand, let’s look at some of the most popular models they offer. Roombas are classified in Series with the 400 Original being the first set of Roombas released in 2002, and the 900 Series is the latest, and perhaps the best robot vacuum at the moment. Here is an overview of the popular Roomba models. This is an entry-level Roomba and is among the cheapest you will get and for this review, it represents the Roomba 600 Series. Roomba 690 is an excellent value for money because it’s a top brand and combines some of the unique features Roombas boast including Dirt Detection, Virtual Walls, Smartphone operation and Alexa compatibility. But for the record, this is an old model that can’t match the latest Roombas we have. But it is something that should top your wish list if you are on a tight budget. You’d instead settle for a trusted brand like Roomba than fall for this cheap stuff that you see everywhere. The Roomba 890 has enjoyed quite a good time as the best value for money Roomba. It is far much better than the 600 Series because of the new tangle-free brush system, Gen 2 motor, Dirt Detect Series II and true HEPA filters. It is also a little bit intelligent and will not hit obstacles or get stuck as often as the Roomba 690. The best thing about Roomba 890 is that it has five* more suction power just like the expensive Roomba 960. It will offer the same cleaning performance the Roomba 960 offers. So, if you are looking for raw power, you might want to get the Roomba 890 instead of Roomba 960. This is the base version of the Roomba 900 Series, and even though it has been regarded as an exuberant option, I find its price justified. To some extent, we feel the Roomba 890 is a better deal now that it’s $200 cheaper. But you might be missing out on some really new additions the Roomba 960 brings on board. The first important feature is a VSLAM navigation that uses sensors and cameras too making navigation more accurate and methodical. Besides the longer runtime, the Roomba 960 will also resume cleaning after recharging. These are essential features if you have a large, crowded house. This is the ceiling version of the Roomba 900 Series and the best Roomba as per this moment. There have been rumors around the announcement of the Roomba 1080, but for now, it remains the best robot vacuum cleaner. The most important feature the Roomba 980 brings on the table is a Gen 3 motor that is behind the new Carpet Boost feature. If you have carpets, don’t settle for anything lesser than Roomba 980; it is the only Roomba with a dedicated mode for specialized carpet cleaning. It also has a longer runtime and brings on board additional advanced cleaning settings on the Smartphone App. It’s interesting that our subtopic is not popular Shark ION models as was the case with Roomba. Shark ION has only three robot vacuum models, and in fact, the first Series, Shark ION RV700 is not in production anymore. That leaves you with two options only. This was the first robot vacuum cleaner Shark ION released. It was discontinued but then, did its part is setting up the footing for Shark ION in this volatile and unpredictable market. This robot vacuum boasts the standard features you’d expect in a robot vacuum. Aesthetically, it just looks like the average Roombas, but one striking detail is the thin design. It stands at 2.6-inches only whereas Roombas are 3.6-inches. This robot vacuum comes with remote control, and even though it doesn’t support Wi-Fi, it is a decent deal considering its affordable price. Unfortunately, it was discontinued, and you may not find it in most retail outlets; both offline and online. This is the model that replaced the Shark ION 700. However, there is so much resemblance between the two vacuum cleaners. This one is also slim and retains the same interface like the one in the old robot vacuum. The finish is slightly different though. This one also has a physical remote controller now that it doesn’t have Wi-Fi. It will also run for 60 minutes, but unfortunately, it doesn’t resume cleaning after that. One advantage of the Shark ION 720 is that it comes with an extra filter and two additional side brushes for your first replacement. The Hair Detangling feature, you shouldn’t worry about the long hairs that are fond of jamming robot vacuums. This is the prime Shark ION robot vacuum cleaner. One of the most notable additions is the Wi-Fi and voice control compatibility. You can now control the Shark ION right from your Smartphone or connect it with Alexa and Google Assistant. At least the Shark ION 750 puts the brand on the map now that everyone is looking for Smart robot vacuums. That’s all I can say about the new Shark ION 750. But I feel there is a lot that needs to be improved on for the brand to compete favorably with the household names. Candidly speaking, the best Shark ION robot vacuum cleaner can’t match most of the prime models of the big brands like Roomba, ECOVACS, and Neato Robotics. It is often agreed that Roombas are the best robot vacuum cleaners in the market. This is something I can’t dispute because the market share tells it all. Being the best robot vacuum cleaner brand, Roombas serve a very special purpose; acting as a standard for the best robot vacuum cleaner. That’s the reason we always compare different brands to it, and today, we want to see whether Shark ION is indeed a shark that swallows dirt and dust the same way sharks swallow the small fish. Roombas have dozens of models while Shark ION has three models only, of which the first one is discontinued, so we are remaining with two; Shark ION RV720 and RV750. We want to see how each of the two Shark ION robot vacuums compare with some of Roomba’s popular models. If you look at it from the budget perspective, the Roomba 600 Series matches the prices of Shark ION. But is this the same case with performance and features? That’s what we are about to find just now. When it comes to the design of a robot vacuum, the most important thing is the height. The winner here is Shark ION, but find out how they compare. This robot vacuum is round and boasts quite a sleek and stylish design. It has a diameter of 13.6-inches, and just like all Roombas, it stands at 3.6-inches high. Regarding weight, we measured it on our scale, and it hit 7.8 lbs. This robot owes much of its aesthetics to the Roombas. However, it is much slimmer than Roombas standing at only 2.6-inches. The Shark ION has a 12.6-inch diameter and weighs 5.51 lbs. when the bin is empty. Nothing much changed in the new Shark ION 750. It is precisely the same as the predecessor, with the three buttons on the interface. The only thing that has changed is the finish with the RV750 finished in a darker accent. Winner – Shark ION wins the battle here as it comes with a more low profile design. It is thinner than Roomba and also has a smaller diameter meaning it will go through tighter spaces. This is the most critical aspect when shopping for any cleaner. The big question is, does the robot vacuum cleaner solve my cleaning problems? There are several aspects that you need to compare here; priority, suction power, brush, filter, bin and so on. Here is how the Roomba 690 compares to Shark ION 720 and 750. One of the reasons Roombas have succeed is their versatility. Roomba 690 is great for hardwood floors, tile, thin carpets, and allergens. That’s what the manufacturer recommends it for, but I will tell you for free, it doesn’t do well on carpets and pet hair, but on hard floors, it’s excellent! This robot vacuum cleaner is proposed for hard floors including hardwood, carpets as well as allergens. But the truth of the matter is that it’s quite similar to Roomba 690 in that it doesn’t do well on carpets. However, when it comes to the pickup of allergens, it is an excellent choice! Nothing new here; it’s recommended for hard floors, carpets and pet hair but on carpets, it doesn’t impress at all considering it is the top of the range SharkNinja robot vacuum that competes with the likes of Roomba 980. I expected it to come with a dedicated mode for carpets, but it doesn’t have one. Winner – I really like Roomba 690 because of the raw power, but I am more inclined to Shark ION 720 because it’s cheaper and offers the same utility as Roomba 690 and RV750. This is an old robot vacuum that uses quite an old motor, probably a 1st Generation motor. The Roomba 690 delivers an average of 500 Pa which is not very great for carpet cleaning. I am afraid the Shark ION 720 doesn’t offer anything better than the Roomba 690. It also delivers suction power in the same range; 550 Pa which is negligibly higher than Roomba 690. 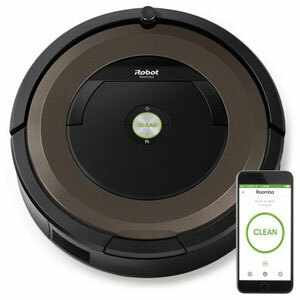 The same applies for the Shark ION 750 which I expected to have a powerful motor, like the top of the range models from iRobot and Neato, the Roomba 980 and D7 Connected. Winner – I would go for Shark ION because of the slightly higher suction power. However, that is not to say that they impress when it comes to vacuum power, they are all below my expectations. This entry-level robot vacuum cleaner has a dual multi-surface brush system. It does a great job on hardwood and carpets, but the problem is that it gets tangled way too often. Regarding side brushes, Roomba has two on either side and is also supplied with an extra pair. This model comes with a self-cleaning brushroll which greatly reduces tangling and maintenance requirements. On either side, we have sweeping side brushes that clean the path of the vacuum. Also here, two extra side brushes have been included for the first replacement. Here, the brush system borrows much from the older Shark ION only that in this case, we have helix-pattern high-tensile bristles that enhance dirt pick up on both hard floors and carpets. The detangling technology is also available, but there are no extra side brushes. Winner – Shark ION is the winner here. I would go for a Shark ION anytime, especially if I had long-haired dog breeds because of the detangling technology. Roomba 690 has a regular brush that gets tangled very often. This is indeed an old model, and again here, it uses the old Aerovac filtration system that has HEPA style filters. Though they are efficient, they are not as good as true HEPA filters. The Roomba 690 suffers defeat here because SharkNinja built the RV720 with true-HEPA filters. These have a 99.97% efficiency making them best for allergy sufferers. Obviously, the latest model in the SharkNinja robot vacuum line will have true HEPA filters. If you have pets, you understand the problem of dander; that’s exactly what HEPA filters capture. Winner – Definitely, Roomba 690 is not a favorite because it has HEPA-style filters which are not the original HEPA filters as we know them. Shark ION 750/720 have HEPA filters making their air filtration more efficient. It comes with Dirt Detect Series I. This is a feature that uses acoustic sensors to detect where there is dirt concentration. It goes to the area and switches to Spot mode. Perhaps the unique aspect of Shark ION is the detangling technology. It is a self-maintenance feature that cleans the brush roll removing any tangled material. Detangling technology is also the only extra feature Shark ION RV750 offers. I’m also disappointed because it ought to have done better as Shark ION’s best model. Winner – It is very hard to call a winner, but there are areas where each brand wins. Shark ION 720/750 is a great option if you have long-haired dog breeds like Chihuahua. On the other hand, the Roomba 690’s Dirt Detect technology is also irresistible. As you are all aware, robot vacuums have rechargeable batteries. There are several areas that you need to have an in-depth discussion on clearly. These include; the battery type, technology, capacity, and runtime. Also, the power management options are essential. This vacuum comes with a 1800mAh Li-ion battery. It can run for 60 minutes which is pretty enough to finish cleaning an average apartment. It will recharge automatically but won’t resume cleaning. Also here, you get a Li-ion battery with 1800mAh capacity which is also a considerable runtime. The Shark ION 7209 can also run for an hour before going back to the charging base. The crème model from Shark ION also has an 1800 mAh battery and will also run for an hour and won’t resume cleaning after recharging. I can’t complain much considering the price. 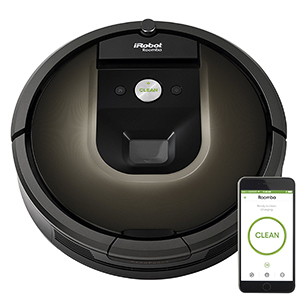 Winner – This is hard to call, but I would say the Roomba 690 is the winner when you look at the battery life cycle. Roomba batteries last for around 24 months compared to Shark ION that does an average of 18 months. This is another crucial talking point when choosing a robot vacuum cleaner. There are several important aspects that you need to look at including technology, mapping, and boundary marking. iRobot uses iAdapt 1.0 navigation technology as well as a host of obstacle sensors and cliff sensors. Regarding floor mapping, it doesn’t have a methodical pattern, so it cleans randomly. This robot vacuum uses Smart sensors backed up by the regular obstacle and cliff detection sensors. The Shark ION 720 too uses a random cleaning pattern and takes longer to complete. Winner – Roomba’s iAdapt 1.0 is more accurate and does well in high traffic rooms more than Shark ION. But that is not to say that it is the best Roomba for high-traffic rooms. It comes with Virtual Walls technology that uses infrared sensors to mark limits. They are easy to set up because you only need to align the nodes. This model comes with boundary marking technology too; BotBoundary™ Strips. Here, instead of the infrared sensors, we have physical markers. The boundary marking technology is not updated in the new Shark ION RV750. We feel this is such a letdown for the best Shark ION robot vacuum cleaner. Winner – It’s obvious that Roomba 690 is the best regarding boundary marking. It is easier to set up but on the downside, Roomba 690 included only one node, and an extra pair costs about $45. Robots are smart and intelligent, but the degree greatly varies. Let’s see what Shark ION offers against its counterpart the Roomba. Here, we are going to look at factors like scheduling, remote control, reports and so on. If you did your homework, you understand that this is the upgrade of the Roomba 650 and the new extras include Wi-Fi and voice control. That said, the Smartphone App and Alexa are the remote control options available. This robot vacuum comes with a physical remote controller in place of Wi-Fi. You can do everything you’d wish to do on the Smartphone only that in this case, you can’t do it remotely; you need to be near the vacuum. At least SharkNinja improved here by including Wi-Fi and voice compatibility in the RV750. This model can connect to your Smartphone for remote operation as well as voice control integrations like Alexa and Assistant. Winner – Here. I would go for Roomba 690 because the RV750 has Wi-Fi connectivity issues. Without strong Wi-Fi coverage, it keeps dropping the connection. This vacuum can be programmed to start cleaning at specific times throughout the week. The advantage is that you can do it with ease remotely from your Smartphone. The RV720, just like all robot vacuum cleaners can also be scheduled for the entire week. But unfortunately, you need to be at home to schedule it from the remote controller. Also the RV750 can be programmed to clean daily throughout the week, and like the Roomba 690 it comes with Wi-Fi. You can schedule it from the Smartphone App remotely. Winner – Here, the Roomba 690 and Shark ION 750 carry the day because of their convenience. Yes, the RV720 can be programmed too, but if you bring in usability, the Smart robots carry the day. The Roomba 890 has for a long time been considered a great value for money. It blends some of the latest features and offers great performance on hard floors, carpets as well as pet messes including pet hair. Now, let’s get to the face-to-face comparison between Roomba 890 vs. Shark ION 750 vs. 720. It stands at 3.6-inches high with a diameter of 13.6-inches and 8.5 lbs. weight. This is the same for all Roombas. This one is much smaller standing at 2.6-inches with a 12.6-inch diameter. It can fit under tight spaces and is easy to carry at 5.5 lbs. This model maintains the same design and dimensions of the earlier model. The only difference is the fact that its color shade is a little bit darker. Winner – It’s with no doubt that Shark ION 720 and 750 win the contest here. The slim design is everything here. In our previous comparison of Shark ION 720/750 vs. Roomba 690, the Roomba 690 was outdone is several areas. But that’s understandable considering it is among the oldest Roombas we have in the market. Let’s see whether the Roomba 890 will bring home the points. Unlike the Roomba 690, this one has improved action on carpets and allergens. This is courtesy of an upgraded motor and true HEPA filters. That said, it is a better all-round cleaner, but certainly, not the very best! This is just an average robot vacuum cleaner that would compete with the Roomba 690 but not the 890. It is best for hardwood, tile and linoleum floors as well as allergens but not carpets, especially the heavy pile carpets. Also here, there is nothing to smile about because even being the latest Shark ION robot vacuum, deep carpet cleaning is not guaranteed. But, for hard floors and pet messes, this is a great vacuum cleaner for the price. Winner – Roomba 890 is undoubtedly the best choice here. While Shark ION may match Roomba’s performance on hard floors and pet messes, Roomba has a powerful motor for more vacuum power, something that makes it a better cleaner on carpets and thus a more versatile robot vacuum. It uses a 2nd Gen motor that has been optimized to deliver 5* more vacuum power. On average, the Roomba 890 deliver 1000 Pa though it is noisy. This robot uses quite an old motor, and even though it is quieter than Roomba 890, power is compromised. It produces an average of 550 Pa only. Despite being the latest Shark ION vacuum, the RV750 has very low suction power. It still delivers 550 Pa just like RV720. Winner – Roomba 890 is the winner here because it has more suction power. This explains why Roombas are better robot vacuums for carpets than Shark ION. Remember, the higher the vacuum power on carpets, the deeper the clean. Tangling was a problem in the old Roomba 690 but not anymore with the Roomba 890. It comes with a tangle-free dual multi-surface extractor. There is also a pair of side brushes for sweeping the sides of the vacuum. This model comes with the old brush roll that does quite a good job on hard floors and carpets. It picks all kinds of dirt; from dust to pet hair. On the sides, there are also two side brushes for sweeping the paths. The latest Shark boasts a newly designed helix-pattern high-tensile bristles brushroll. It’s able to pick all kinds of dirt from small dirt to allergens despite the surface. It’s also assisted by two side brushes. Winner –Here, it is hard to call, but I think the Shark ION has the edge. The Detangling technology makes life easier because in the event it gets tangled, it doesn’t make jam, it solves the problem autonomously. On the other hand, the Roomba’s extractors are not invincible, and in case they tangle, you have to come to rescue it! Here, iRobot upgraded to AeroForce filtration which uses the real HEPA filters. These are more efficient compared to Aerovac filters. True HEPA filters have also been used to design the RV720 so you can be sure that all allergens are filtered leaving you with fresh, breathable air. Like the predecessor, RV750 also have true HEPA filters for 99.97 efficiency in capturing all allergy triggers and bad odor. Winner –If you suffer from nasal allergies, any of the above robot vacuum cleaners is up for the task. That said, you want to base your choice on something different. If you remember, Roomba 690 had Dirt Detect Series I. The 890 comes with Dirt Detect Series II. It also has a full bin indicator, features Shark IOPN lack. The unique feature Shark ION 720 offers is Detangle technology. Otherwise, if you don’t have pets or you have no worries about tangling, nothing else is offered. This vacuum also offers Detangling technology only as the only extra. If you have pets, this is something that should interest you. Winner – The Roomba 890 is the best choice here because of the Dirt Detect Series II feature. While Shark ION stood a chance against Roomba 690 here, the two vacuums are no match for Roomba 890 because Roomba now has a tangle free brush system, so the Detangling technology is not an advantage for Shark ION. 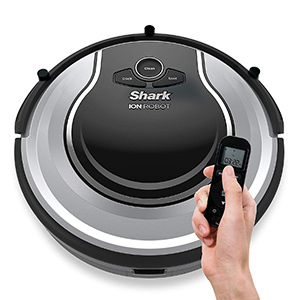 In the last face-to-face comparison, Shark ION also competed favorably with Roomba 690 primarily because they have the same runtime. But is this case for Roomba 890 also? This model comes with a much powerful battery but will do 60 minutes on average. Recharge time is almost two hours, and the Roomba goes to the Home base alone but won’t resume cleaning. This vacuum runs for an average of 60 minutes just like Roomba 890. It also has almost the same recharge time and will dock automatically. However, there is no resumption after that. Nothing new in this model save for the slightly higher runtime of around 70 minutes when it’s new, but after some time, it drops back to 60 minutes. It also self-recharges but has no auto-resumption. Winner – I would go for the Roomba 890 because of the longer life cycle. Roomba batteries are the industry’s best when it comes to the lifecycle. If you have a large apartment with high-traffic rooms, then the navigation should be a major concern when shopping. So what are the most important aspects to be considered? It still uses the old iAdapt 1.0 navigation system backed up by obstacle detection and cliff sensors. Regarding floor mapping, it is not wholly methodical, but at least it moves in a pattern. This one uses Smart sensors to find its way wound your house assisted by obstacle and cliff sensors as well. Cleaning is very random and will often miss some sports if you have a large floor. Nothing changes here again, and it’s such a letdown for the latest Shark ION to have such an old navigation technology. The movement is random, and besides missing some spots, it takes longer to clean. Winner – Roomba 890 carries the day here because it at least moves in a methodical pattern and cleans faster. However, if you want the best Roomba for high-traffic rooms, the Roomba 960 is the beast. The advantage of robot vacuum cleaners is that they offer Smart connectivity and convenience. So, how does Roomba 890 compare to Shark ION 720 and Shark ION 750? This vacuum cleaner comes with Wi-Fi for remote Smartphone operation. It also supports Alexa and Assistant as well as several other 3rd party integrations. Here, there is no Wi-Fi; instead, you are supplied with a physical remote control. That means you can’t control the robot vacuum with the Smartphone App or Alexa. This is the only Shark ION robot vacuum with Wi-Fi. That means you can control it from the Smartphone App or use Alexa. The only problem is the many connectivity issues. Winner – Roomba 890 is the winner here because it comes with Wi-Fi compatibility and supports Alexa. Shark ION 750 doesn’t make the cut because of Wi-Fi connectivity issues. This robot vacuum cleaner can be scheduled for 7 days running. The advantage here is that you can program it easily on the Smartphone App. This model also offers Schedule cleaning for a week. The only worry is that you have to program it from the remote controller, so you have to be home. 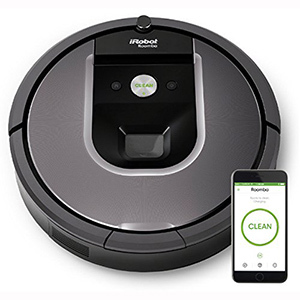 At least with this model, just like Roomba 890, you can program it for 7 days as well, but this time you get the convenience of Smartphone operation. Winner – Were it not for the connectivity issues, I would go for the cheaper Shark ION 750, but considering the many complaints, we have settled for Roomba 890. The Shark ION RV750 and Roomba 900 Series are the prime models of SharkNinja and iRobot. This is the ultimate cornerstone for judging who the winner between Roomba and Shark ION. Let’s find out how these three vacuums compare. One of the best aspects of Shark ION robot vacuums is the compact and low-profile design. The RV750 stands at only 2.6-inches and has a diameter of 12.6-inches making it among the most compact robot vacuum cleaners in the market. iRobot and the rest of the top vacuum cleaner brands don’t focus much on design. This one measures 3.6-inches high and has a 13.6-inches diameter. This is contrary to what we’d have expected from the best robot vacuum brand. This Roomba also stocks the traditional dimensions of the Roomba with a 13.6-inches diameter and 3.6-inches height. I would have really loved to see the Roomba 980 in a thinner design, but as of now, that’s what you have to put up with. Winner – The Shark ION RV 750 wins this contest as it is much smaller, with a shorter profile allowing it to slide under most of the household furniture. One of the biggest reasons why Roombas dominate the robot vacuums scene is the excellent cleaning versatility. The top of the range Roomba models are great for hard floors, carpets, pet messes and even allergens. So, what are the most important aspects when comparing the Shark ION 750 vs. Roomba 960 and 980? This robot vacuum has been recommended for hard floors, tiles, and carpets. Well, the truth of the matter is that it does a great job on hardwood, tile, linoleum, and vinyl. However, on carpets, especially heavy pile, it gets overwhelmed. This is a great model that delivers exceptional performance on hard floors like hardwood, tile, and linoleum. It also cleans al pet messes including pet hair and dander. The only problem is heavy pile carpets, but on thin carpets, it’s a great deal. The ultimate robot vacuum in the Roomba Series is designed for all-round cleaning. It guarantees the best cleaning on hardwood floors, tile, linoleum, and vinyl. The dedicated mode for carpets, Carpet Boost, makes carpet cleaning a buzz. Winner – Roomba 980 carries the day as the most versatile robot vacuum. The Carpet Boost mode completes the threshold. There is nothing exceptional about the new Shark ION 750. It delivers average suction power that won’t do anything significant on carpets but will pick up the usual dirt from hard floors. On average, it provides 550 Pa, same as the predecessor the Shark ION RV720. This one brings on board a 2nd Gen motor which has enhanced vacuuming power. It can deliver 5* more the air power, something that significantly increase the vacuum power. However, it is not enough to execute deep carpet cleaning, but for thin carpets, it can comfortably do the job. This is the ultimate robot vacuum cleaner that will handle all hard floor types just like most vacuum cleaners, pet hairs, dander, and carpets. One thing to note here is the dedicated mode for carpets called Carpets that delivers 10* more air power when it detects carpets. Winner – No vacuum in our list compares to Roomba’s 3rd Gen motor that delivers up to 1,700 Pa when Carpet Boost is activated. As mentioned earlier, this model comes with an all-new brushroll and even though it is quite similar to that in the RV720, this one emphasizes more on helix-pattern high-tensile bristles as opposed to the older bristles in the RV700 and RV720 that often left behind some dirt. This model comes with the all-new tangle free dual multi-surface extractors. If you have pets, this is the real deal even though it won’t free itself after it has tangled. But then, expect very little tangling even if you have the long-haired dog breeds. There is nothing new in this robot vacuum cleaner. It also comes with the dual multi-surface brush extractors that pick up dirt and debris with a buzz. Tangling is not a problem here so even if you have breeds like Chihuahua, you don’t have to worry. Winner – There is no clear winner here because they all pick up dirt quite well. When it comes to pets, both vacuum brands solve the problem of tangling which is a major concern for most pet owners with robot vacuum cleaners. One of the surprising features of Shark ION robot vacuums is the true HEPA filters that can capture 99.97% of allergens. That’s what you find in the Shark ION RV750. This model has been built using AeroForce filtration technology that uses true HEPA filters as opposed to HEPA style filters like the one used in the older 600 Series. Nothing changed here as the Roomba 980 packs the same AeroForce filtration system that uses true HEPA filters guaranteeing you a fresh atmosphere. Winner – I wouldn’t give credit to any of the three vacuum cleaners in contention. However, the thought of replacing the Shark ION’s filter more often wants me to go with Roomba 960 or Roomba 980 to bring down maintenance costs. It doesn’t have anything unique unless the Detangling technology which is too obvious when comparing it to Roomba 960 and 980. Otherwise, I expected something more interesting from SharkNinja, but I was disappointed. I hope this will be among the improvements we expect to see in the next Shark ION. Here, Dirt Detect Series II takes center stage and this feature makes the Roomba more useful in areas with concentrated dirt. We also have Clean Maps reports, a feature that tells you where the Roomba cleaned and where it didn’t reach. Apart from the Dirt Detect Series II, Roomba 980 offers Clean Maps reports too. But the icing on the cake is the advanced cleaning settings, a feature even the Roomba 960 lacks. It gives homeowners more options to customize the cleaning. Winner – Roomba 980 wins the contest here with the extra advanced cleaning settings. For Shark ION, it doesn’t stand a chance at all considering the Roomba 960, and Roomba 980 have minimal tangling issues, so the unique Detangling in Shark ION is not an advantage over Roomba 960 and 980, as well as the 890. Roombas, especially the earlier models than the 900 Series have a short runtime compared to the rest of the vacuums. But how does the Roomba 960 and Roomba 980 compare to the Shark ION RV750 as far as autonomy is concerned? The Shark ION greatly loses here with a 1800mAh battery that can last it for an hour on average. Remember, while it can go to the recharging base, the Shark ION 750 doesn’t resume cleaning. Finally, Roomba succumbed to pressure and improved on the battery runtime in the Roomba 960. The 2600 mAh battery can run for 75 minutes and will resume cleaning after that. The battery performance further improves in the Roomba 980. It has a 3300 mAh battery that does an average of 120 minutes when in normal mode and 100 minutes in Carpet Boost. Winner – I would go for Roomba 980 anytime because it lasts longer. The Roomba 960 sounds a great deal because it’s cheaper and has resume function. However, it takes longer for robot vacuums to recharge, so the Roomba 980 is just a ready solution for large apartments! Roomba 900 Series has the industry-leading navigation and mapping technology. So, how does Shark ION 750 compare to the two elite Roombas; Roomba 960 and Roomba 980. Here, SharkNinja uses the old technology as we know it; SLAM navigation. The Smart sensors are not that bad but from time to time, expect the Shark ION 750 to hit obstacles here and there. It will also get stuck a few times, but if you remove too much clutter prior, all is good! This vacuum cleaner has a revolutionary VSLAM navigation called iAdapt 2.0. It uses a set of cameras and sensors to navigate efficiently. Regarding floor mapping, the same technology is applied, and the result is intelligent maneuvers and methodical cleaning. Winner – I would choose any of the Roombas, but now that the Roomba 960 is cheaper, it wins this contest. Despite being the top model from SharkNinja, the RV750 has the old boundary marking technology. It is called BotBoundary, and uses physical strips that are quite hard to set up. Also this model comes with Virtual Walls that help homeowners contain the vacuum cleaner. However, it only comes with one Virtual Walls node so you might need to spend an extra $45 for another. Roombas have trusted Virtual Walls for the longest time, and that’s why it has been included in Roomba 980. The advantage of this model is that it comes with two nodes. Winner – Roomba 980 is the favorite here because of the extra Virtual Wall node supplied. Remember, to get the most out of Virtual Walls; you need at least two nodes. For Shark ION, it’s just too hectic using physical markers! Robot vacuums are designed to be intelligent to allow us to operate them with convenience and most importantly, to allow us to concentrate on other important things. 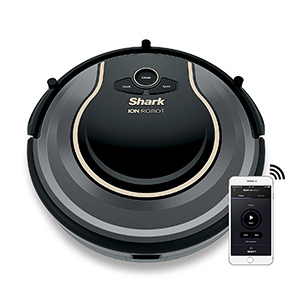 So, how does Shark ION RV750 compare to Roomba 960 and Roomba 980? This is the only robot vacuum cleaner that comes with Wi-Fi instead of a physical remote controller. You can control the Shark ION 750 from the Smartphone App as well as your Alexa or Assistant. This robot vacuum cleaner comes with Wi-Fi for Smartphone operation, Alexa connectivity and also, 3rd party integration. There are also a host of unique features including Clean Map reports. As expected, this robot vacuum also has Wi-Fi for Smartphone operation as well as Alexa. Besides the normal features, the App offers, Roomba 980 has Clean Maps and advanced cleaning settings. Winner – Roomba 980 is our winner here because it offers more features than Roomba 960 and even Shark ION 750. Were it not for the connectivity issues around Shark ION 750; it would have left a mark now that it’s cheaper! This vacuum cleaner can be programmed for seven days a week just like most robot vacuums. The fortunate thing about RV750 is that programming it is very easy with the Smartphone App. You can easily program the Roomba 960 to run daily at specific times by scheduling it from your Smartphone App. Remember, scheduling is just once a day for the entire week. This big brother from Roomba 900 Series is just the same as Roomba 960 and can be programmed once a day for seven days a week. But how I wish you could schedule it twice a day. Winner – The Shark ION 750 takes credit here because it is the cheapest and allows for remote programming on the Smartphone App. However, you want something that is reliable, and that’s what Roombas offer. To be honest with you, Roomba is the best robot vacuum brand in this discussion. Before I tell you the main reasons why I chose Roomba over Shark ION, here are two important takeaways. One of the main reasons for Roombas success is specialization in floor cleaning solutions only. It has concentrated on a smaller niche, robot vacuum cleaners, something that has helped them curve a superior brand. But most importantly, it is their investment in R&D that has put the brand where it is today. When it comes to Shark ION, I must say that I really admire their products including the SharkNinja juice extractor. However, as far as robot vacuums are concerned, it doesn’t impress me that much because they just offer alternatives to the options we already have. But good for them, they increased the product range. 1.Better all-round cleaning – Roombas have the best cleaning features for a comprehensive cleaning. Carpet Boost is, in fact, the industry’s leading carpet cleaning technology. 2.Longer runtime – The best Shark ION robot vacuum runs for around 70 minutes when still new while Roomba 980 does an average of 120 minutes. 3.Recharge & auto resume – This is among Roomba’s biggest strongholds. The Roomba 960 and 980 will recharge and resume, but none of the Shark IONs offer this. 4.Better boundary marking – It’s pretty hard to set up the physical markers. Virtual Walls nodes are much easier to use though Neato’s No-Go Lines is the best regarding usability. 5.Superior navigation – Roombas have the latest VSLAM navigation meaning that they are best for high-traffic rooms and large apartments. 6.The extras – Roombas offers several extras like Dirt Detect, Clean Maps reports, Wireless Updates and so on. So far, there’s nothing unique about Shark IONs. 1.Cheaper options – Shark ION robot vacuums are much cheaper and still offer quite some great performance. 2.Slimmer design – A good vacuum cleaner should be very slim, and that’s exactly what Shark IONs are. They stand 2.6-inches high while Roombas are 1 inch taller. In as much as Shark ION robot vacuums may be cheaper, it is clever to look at it from a long-term expensive. The maintenance costs of Shark ION robots is also three times higher than that of Roomba. 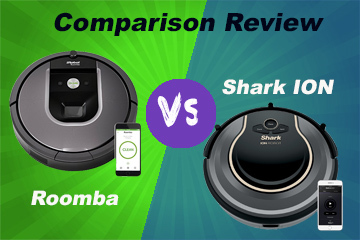 There you have it, a Roomba vs. Shark ION comparison review. Just in case you were wondering what the best robot vacuum brand is, you got the answers. Roomba is just the best but a very expensive model. On the other hand, Shark ION’s latest model can be a great deal if you are on a tight budget.